The team of ABB trained and qualified inverter installation engineers are on 24/7 call out rota for breakdowns to keep our customers equipment running. Many of our engineers have been with IDS or ABB for 16 years and have probably done every type of installation and solved all inverter challenges. Each engineer is self sufficient with a fully equipped van, including the full range of ABB spares suitcases. From left to right – Jill Nightingale, Tina Dilks and Margaret Jones are the backbone of IDS. Answering calls, generating quotations, progressing, dispatching orders and scheduling engineers. They also make sure the office temperature is at its most ambient… apparently. In their “spare time” they chase the debtors, control finances and generate monthly management accounts AND GENERALLY RUN THE BUSINESS! From left to right our customer-facing sales and marketing team: Jules White – Marketing, Leon Ball – Industrial Technical Account Manager and Blaise Ford – Technical Consultant. The team introduce IDS customers to the ABB range of inverters, explaining how inverters can reduce, energy consumption. The sales team offer a free Energy Efficiency Motor Audit to ascertain the potential energy saving opportunities. As an ABB AVP all our sales team members have completed competency based training to become ABB approved inverter specialists. David Staniforth is our hardworking Project Engineer. 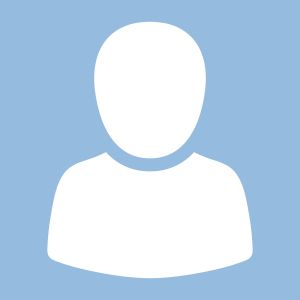 He collects system requirements, offering solutions and specifies components whilst generating quotes for complex work, and coordinating the engineering activities between IDS and our customers. When it comes to validation, the project engineer will produce final reports and information packs. Wayne Draper is responsible for IDS health and safety regulations, quality assurance procedures and our environmental policies. IDS are audited for each of these 3 ISO areas. Wayne also manages the stores. 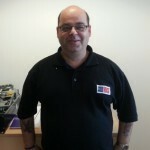 Not only does Wayne carry out internal ISO audits, he is also our onsite installation team auditor, helping to ensure we comply with our customers requirements for these areas. Andrew White’s (Chalky) background is in the repair and testing of electric motors. He now focuses on the service, repair and testing of all types of inverters. 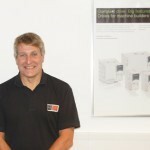 He has been working with ABB drives for 16 years and was a founder member of IDS. He now applies his skills and knowledge to advising and planning the vital role of inverter service to our clients’ key inverters. Andrew also looks after IDS’ large inverter hire fleet using in trials, breakdowns and inverter repairs. He is a long standing numismatist after being introduced to coin collecting by his aunty. Blaise Ford founded IDS in 1999. He carries out the normal MD business functions as well as working closely with the Sales Team in developing new inverter markets. He particularly enjoys getting dirty carrying out the site surveys. He is formally qualified in both Mechanical (BSc) and Electrical (HNC) Engineering and uses these skills to apply inverter technology. Blaise loves swimming and mountain biking.